One of the fundamental goals of naturopathic medicine is to find and treat the root cause of an illness, not just to relieve the symptoms . . . In our fast paced society, many people are looking for balance in their lives and in their healthcare. They strive to optimize wellness by nourishing their bodies with whole foods, by looking for ways to prevent illness and infection, and by being more aware of and in harmony with the natural rhythm of their body cycles. 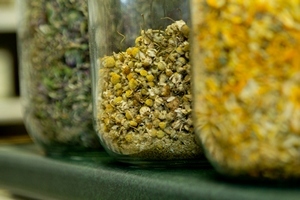 Consequently, more and more Canadians are turning to complementary and alternative therapies in their quest for optimal health. We will help patients move beyond just treating the symptoms. We want our patients to understand and treat what contributes to their illness, inflammation, dysfunction or disease so they can not only feel better, but ultimately try and prevent problems from developing in the future. As we gather information by listening and asking questions, conducting a thorough physical exam, and ordering indicated lab analysis, we will work with our patients to set achievable goals regarding appropriate interventions, responsible screening and preventive care. Central to our practice philosophy is an understanding that the body has an innate ability to heal especially when provided with the necessary building blocks of a healthy diet and lifestyle. Because we have seen the innate healing power working within our bodies, we are passionate about having you experience this for yourself. Whether for prevention or for treating acute and chronic illness, our hope is that our patients, as they see results and begin to feel better, will become self-care experts for themselves and their families. See a list of our Commonly Treated Conditions. Naturopathic Doctors, also called Naturopathic Physicians, are general family practice doctors who have been specifically trained in using safe, effective natural medicines and prevention approaches. In British Columbia many Naturopathic Doctors have also obtained additional prescriptive authority which means we can write prescriptions for restricted herbal medicines, thyroid and bio-identical hormones, prescription amino acids and many pharmaceutical drugs. Becoming a Naturopathic Doctor involves an education as rigorous and comprehensive as other medical professions. After first completing university pre-med courses and obtaining a baccalaureate university degree, it takes an additional four years of full-time study at an accredited Naturopathic medical school to become trained as a Naturopathic Doctor (ND). Then in order to become a licensed Naturopathic Doctor, graduates must successfully pass rigorous post graduate Board exams (NPLEX) in the jurisdiction in which they want to practice. 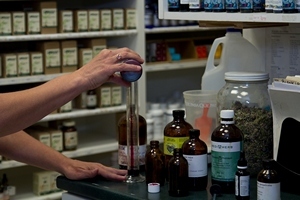 Naturopathic Medicine has been a separate regulated profession in British Columbia since 1936. Naturopathic Doctors in BC now have one of the widest scopes of practice in Canada and are a designated health profession under the Health Professions Act [RSBC 1996] Chapter 183. The College of Naturopathic Physicians of BC (CNPBC) licenses and regulates the profession in British Columbia. in addition, physical medicine therapies (e.g. diathermy), Hydrotherapy, Acupuncture, hands-on therapies (such as Bowen Therapy) or other treatment methods might be incorporated. Occasionally, to improve your health status, aid recovery from sports injuries or for pain management we might use vitamins, minerals and homeopathics via injections. (e.g. Myer's Cocktail, Intravenous Vitamin C, Intravenous Glutathione, Neural Therapy, Biopuncture). Many Naturopathic Doctors also have additional prescription authority which allows us to write prescriptions for natural thyroid and bio-identical hormones, most pharmaceutical drugs, LDN (Low Dose Naltrexone), prescription amino acids, and restricted botanical medicines when necessary. While it is not likely that all of the above treatments may be used in your particular case, sometimes using a combination is more effective than one alone. As your primary care provider in natural medicine, we also co-ordinate recommendations to allied healthcare providers that may be appropriate and helpful for your current condition. Follow-up visits are scheduled, as needed, to assess your progress and your response to treatment, or to provide further treatment options. Are you READY to try a natural health solution? Please call 604-534-9121 for an appointment.